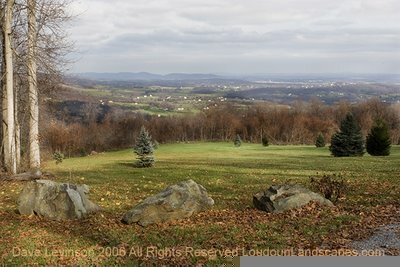 I located a new eastern view on the Blue Ridge yesterday where this photo was taken. Late in the afternoon on the ridge was downright cold, winter is setting in. The weather calls for snow tonight and tomorrow afternoon. The change of season is a welcome friend. Dave, did you get any snow? Thought we might here tonight, given the clouds around dinner time, but it seems to have cleared. Oh, and I'm shutting down pwcitizen.org soon, if you'd like to replace the link there in your sidebar. I'm back to posting on northercrown.com.